Marayke Jonkers is a Paralympic swimmer, paratriathlete and founder of charitable foundation Sporting Dreams, which helps athletes with disabilities. 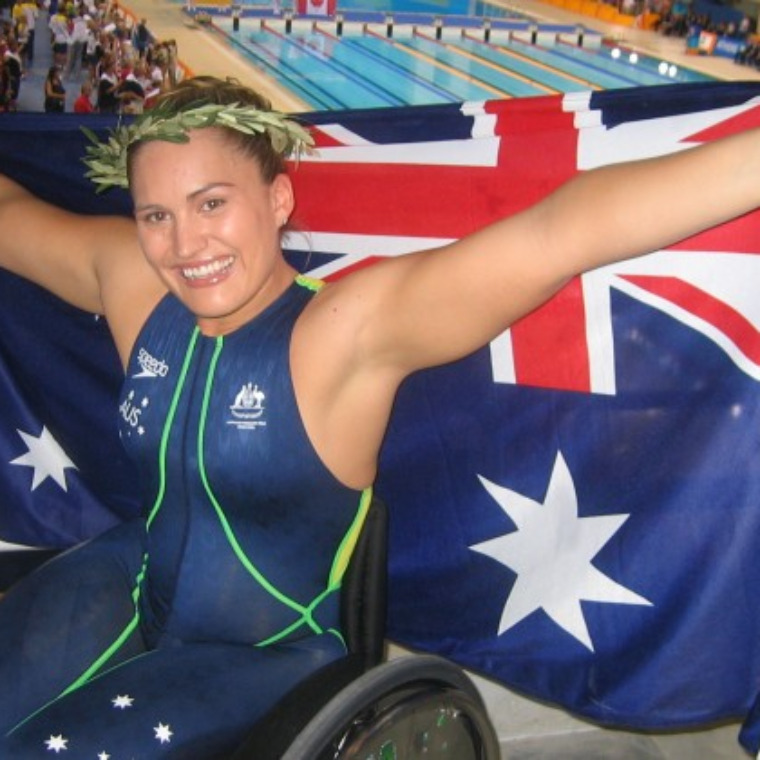 At the Beijing 2008 Games she won the silver medal for 150m individual medley sm4 classification, after winning two bronze medals at the Athens 2004 Paralympic Games and representing Australia at the Sydney 2000 Games. Marayke says the medals are the culmination of a lifelong dream to swim for Australia which was born after she became a paraplegic in a car accident as a small child. When her mother was told Marayke would never walk again, she taught her daughter to swim instead. Now she hopes her inspirational story will inspire others to take up sport and follow their dreams. Marayke has broken the world record for 100m butterfly, and has over 70 Australian records in breaststroke, individual medley, freestyle and butterfly. In 2009 Marayke decided to fulfill a life long ambition to compete in a triathlon and entered a sprint distance event. A year later she became Australia's first female paratriathlete and paratriathlon medalist when she won bronze at the ITU world championships in Budapest, Hungary. She founded Sporting Dreams in 2008 to ensure up and coming paralympians have the same opportunity she has had to enjoy fun fitness and personal development through sport. She has already given grants to over 50 promising athletes. All this while training for the Paralympics. Away from the pool she has two university degrees, in social science and communications, and  achieved a deans commendation for academic excellence. But what makes Marayke truly unique is her commitment to the community. A tireless advocate for people with disabilities, Marayke's week often includes a visit to schools speaking to students about disability awareness or encouraging children with disabilities to take up sport  Her outstanding achievements have lead to Marayke winning many awards and accolades. Marayke was named one of Australia's most inspirational women by Cosmopolitan magazine, being announced as the inaugural winner of the fun fearless female award. In 2005 she was named  Queensland Young achiever, recognising her sporting and academic achievements, and commitment to the community. Some of her fondest memories are being announced as an Olympic torch bearer in 2000, and named as a finalist in the young Australian of the Year awards. Marayke is in increasingly high demand by corporate audiences as a motivational speaker, and hopes her inspirational story will inspire others to take up sport and follow their dreams. Marayke loves a challenge and has tried skydiving, sit skiing, snorkeling, kayaking, camel riding, and has traveled through Europe. Her favourite quote is "you never know what you can do until you try”.